A sublime painting of gigantic clouds in a big blue sky. 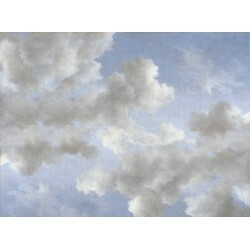 A very delicate painting of clouds in a big blue sky, with some birds in full flight. The blue of the sky is very bright and the crack of the apparent varnish brings authenticity and character to this panoramic that will enlarge the space. 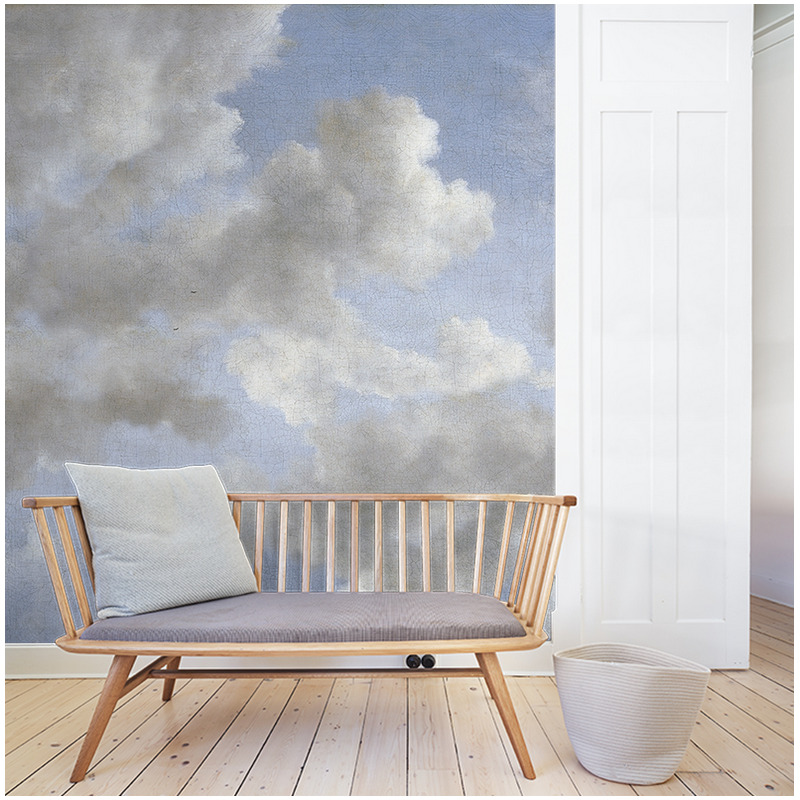 A decor that transports us closer to the cottony clouds as in a child's dream. This panoramic decor perfectly resumes the impression of a painting especially with the presence of cracks as on an old painting.